It’s hard to believe that four years have passed since a previous version of Virgin Galactic’s VSS Unity fatally crashed after much anticipation surrounded the spacecraft. After a long uphill battle, Virgin Galactic’s new VSS Unity successfully completed its second powered flight test last week over the Mojave Desert, moving it one step closer to sending paying customers to space. WhiteKnightTwo, a carrier aircraft, released the VSS Unity into the atmosphere at a height of 45,600 feet where the spaceplane, along with its two pilots, reached an altitude of approximately 22 miles above the Earth’s surface and hit a top speed of Mach 1.9. The first powered test flight can be seen below. 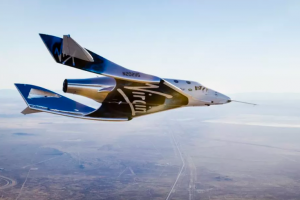 Only a few years removed from its tragic crash back in 2014, Virgin Galactic has hit a major milestone in resuming its goal of private spaceflight. The company’s VSS Unity, AKA the new SpaceShipTwo, successfully completed its first glide test after traveling for 10 minutes at Mach 0.6 or lower. 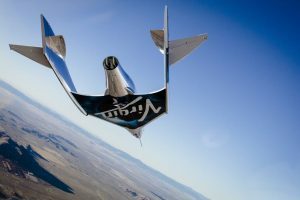 While it may not seem like much, the test is the first of many Virgin Galactic will perform in order to accrue data regarding how the VSS Unity performs in real life. All in all, the successful glide test will help Virgin begin 2017 on a positive note and gets the company back on track for its private spaceflight dreams.